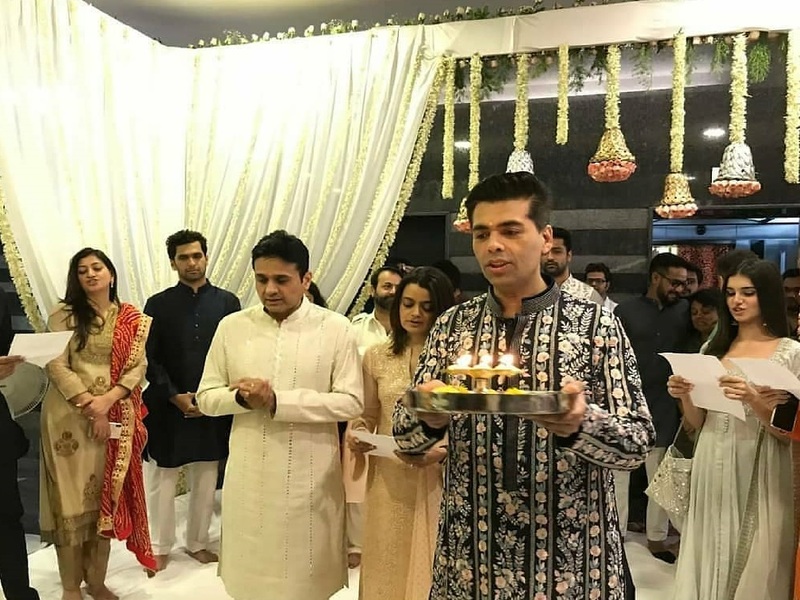 Karan Johar had a Diwali Puja at his Dharma Production office. 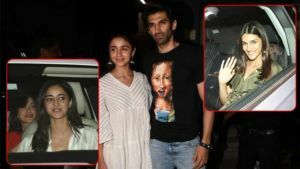 He was joined by his family, staff members and friends. 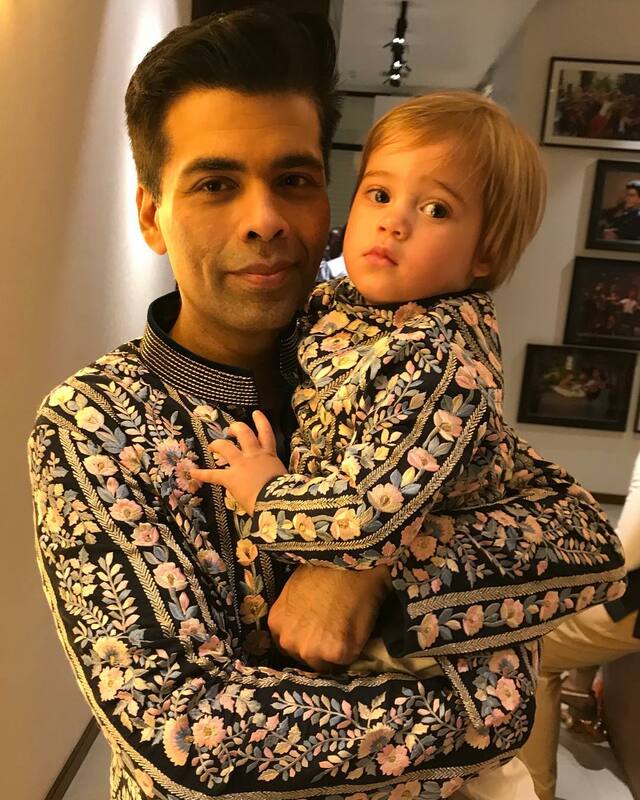 Karan was seen twinning with his son Yash Johar in a black designer kurta. 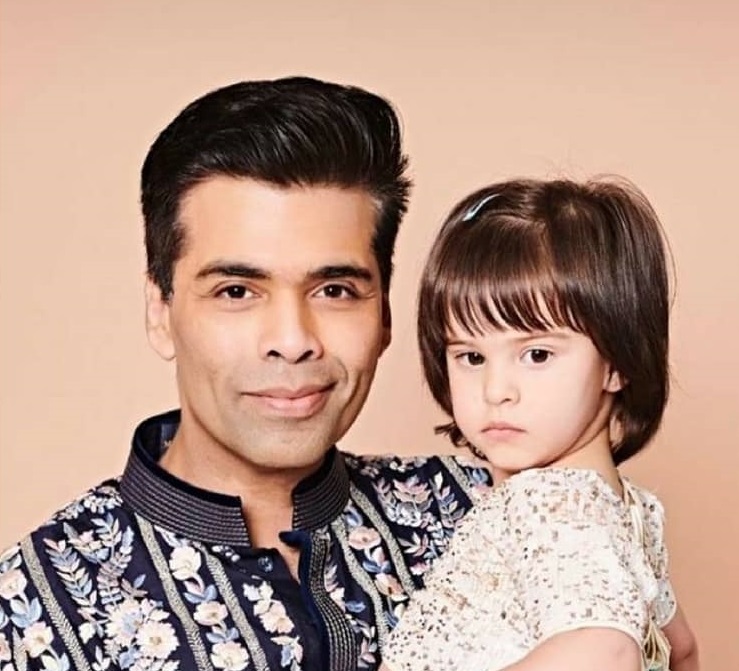 Karan's daughter Roohi looked like a princess as she posed with her father. 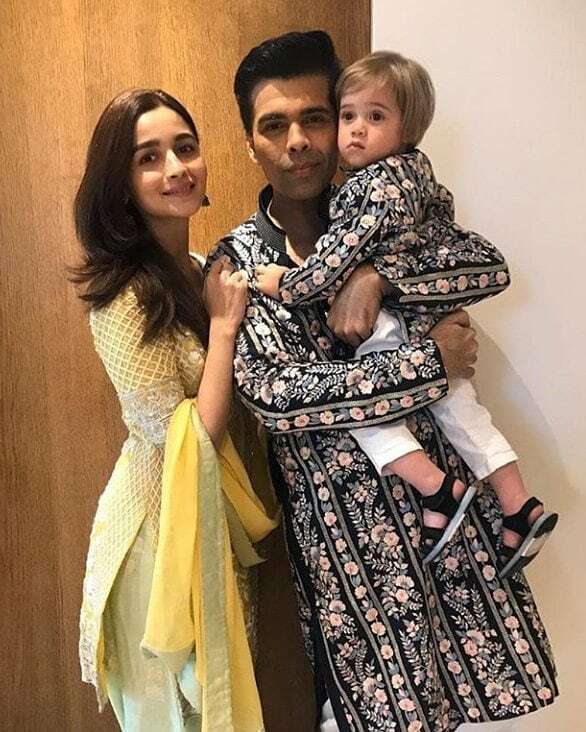 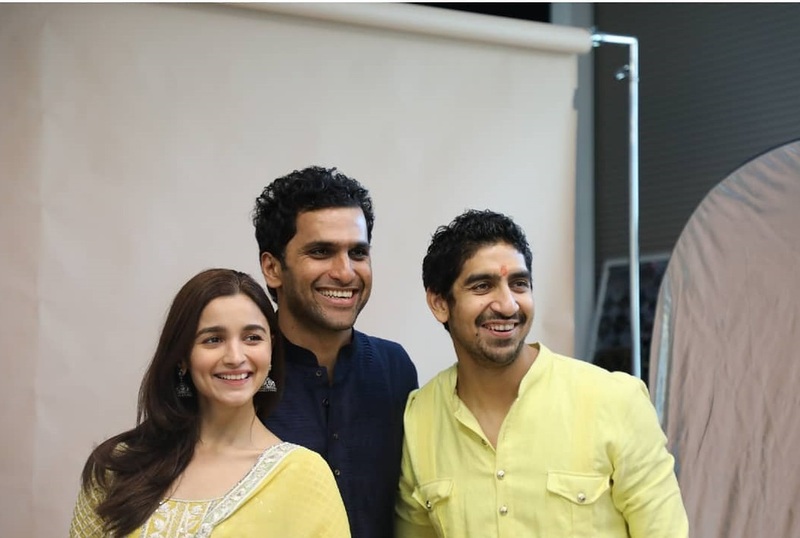 Karan and his son Yash posed with Alia Bhatt who had come to wish KJo on Diwali. 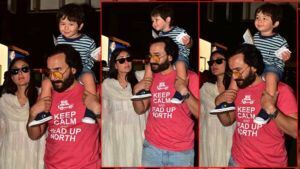 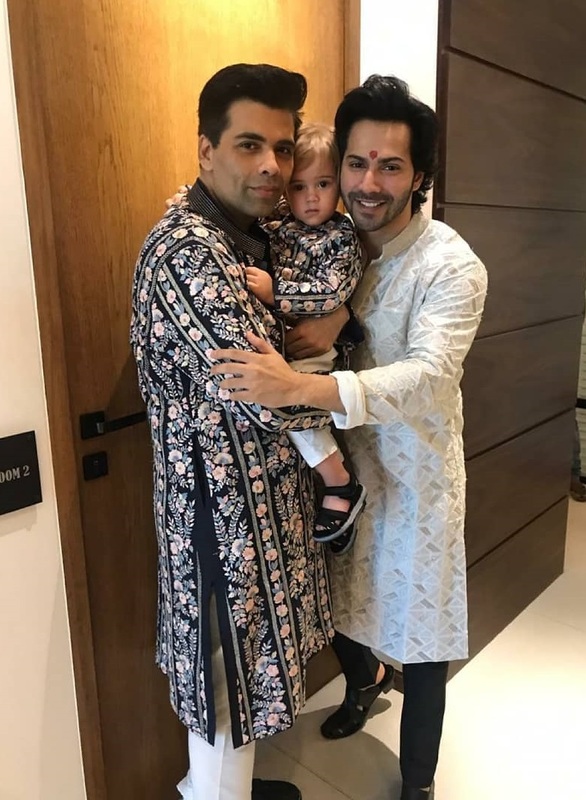 Varun Dhawan after attending puja at his father's office joined Karan and his kids. 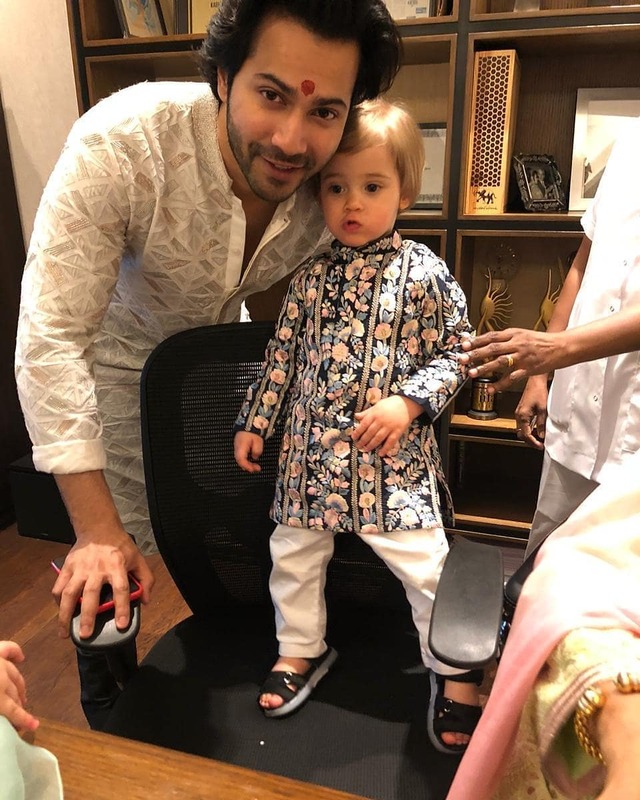 Varun looked handsome in traditional wear as he posed with Yash Johar. 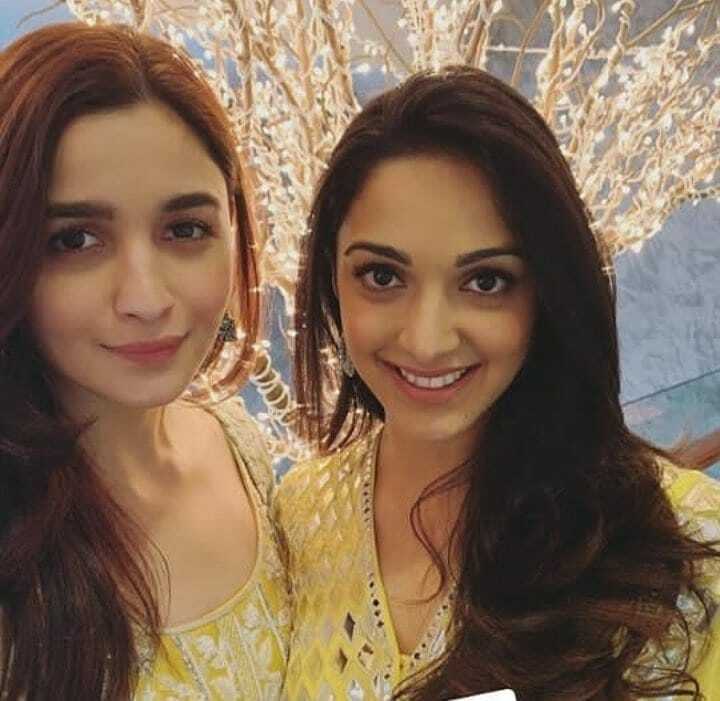 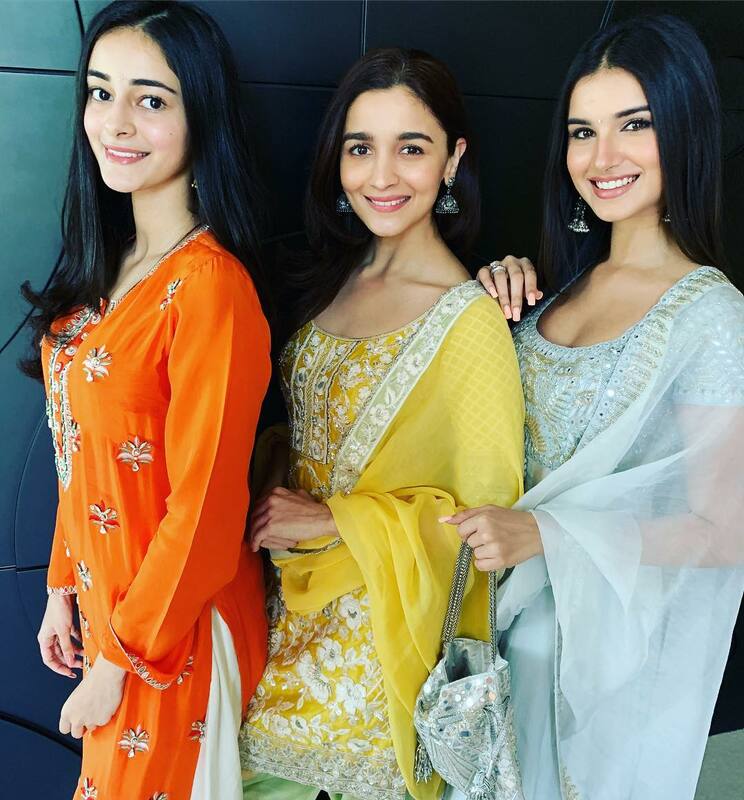 The gorgeous Alia Bhatt and Kiara Advani twinned in yellow. 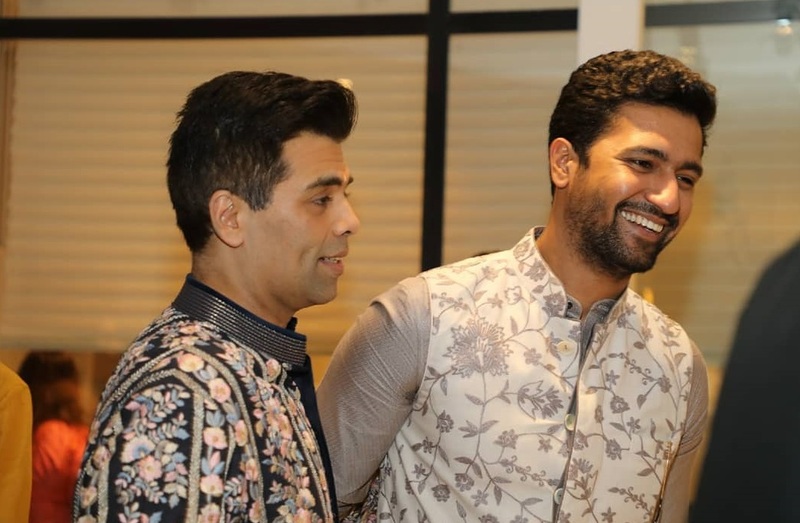 Vicky Kaushal also came in to attend the Puja. 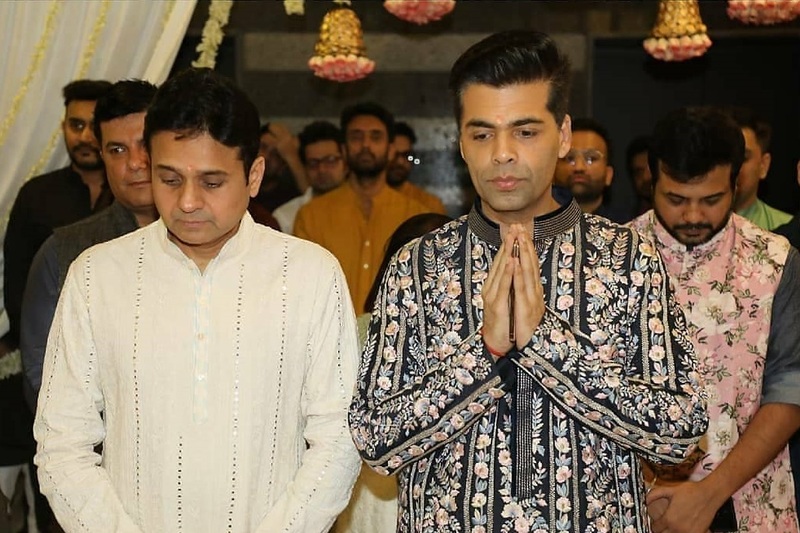 He was looking handsome in his festive ensemble. 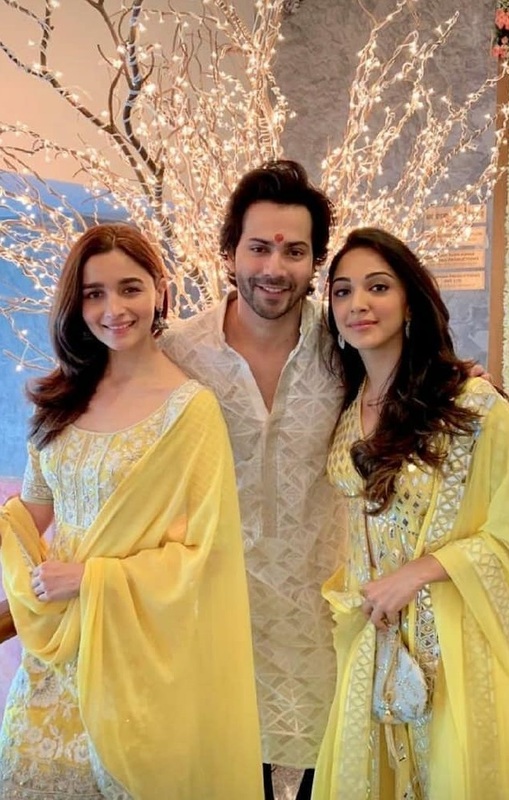 Varun Dhawan posed with the stunners Alia and Kiara. 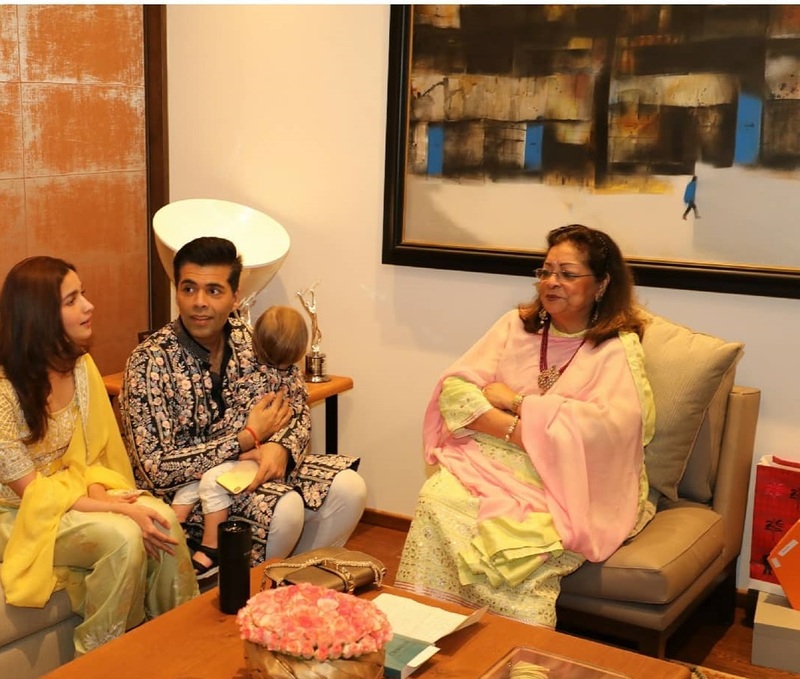 Karan Johar in discussion with his mother and Alia Bhatt. 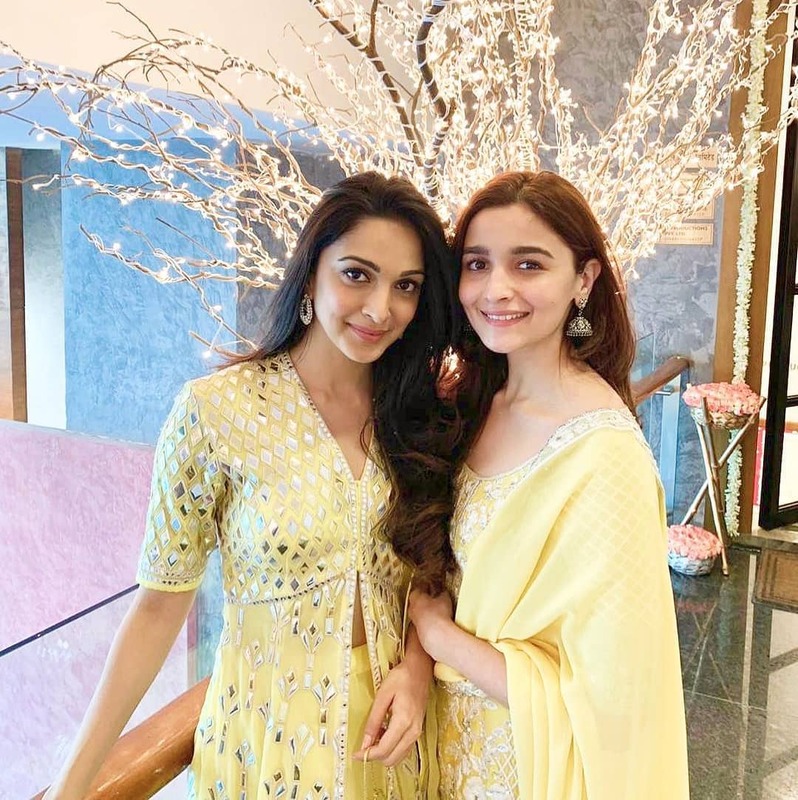 Alia and Kiara looked beautiful as they were twinning in lime yellow salwar kameez with silver detailing.